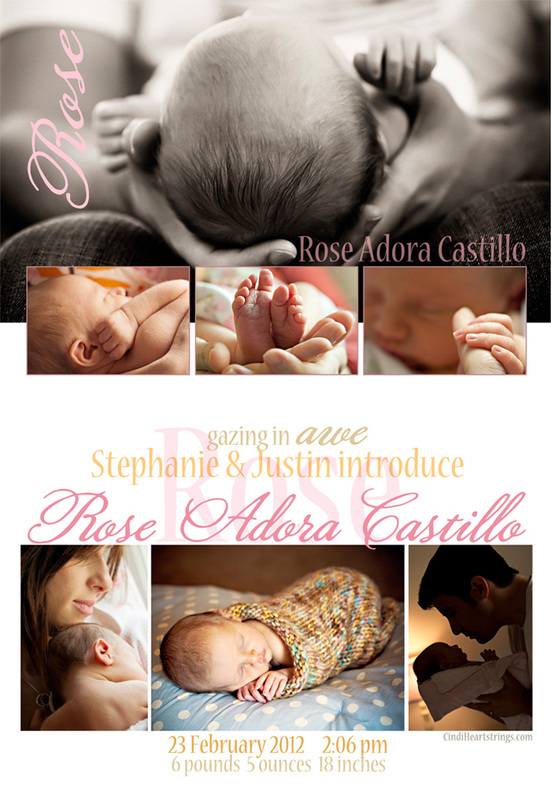 Rose Adora was born on February 23, 2012 at 2:06 pm. She weighed six pounds and five ounces and was 18 inches long. She is truly a precious baby girl, blessed with Italian and Guatemalan beauty. 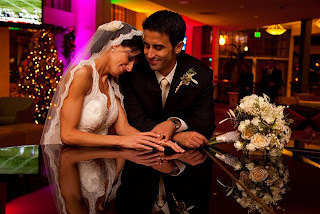 Just two months prior to her birth, Justin and Stephanie celebrated their two-year anniversary of their beautiful “church” wedding and romantic courtyard reception, both at The Sheraton Grand Sacramento. The ceremony included hundreds of candles and unique lighting…an amazing transformation of the room into a quaint church. The entire celebration was planned and executed by Très Fabu Event Planning and Design. Stephanie and Justin are loving this time with their baby girl. Stephanie is also a special education preschool teacher and Justin continues to work with computer programming. The Sheraton Grand Sacramento ~ Celebrating 10 Wonderful Years in Style! 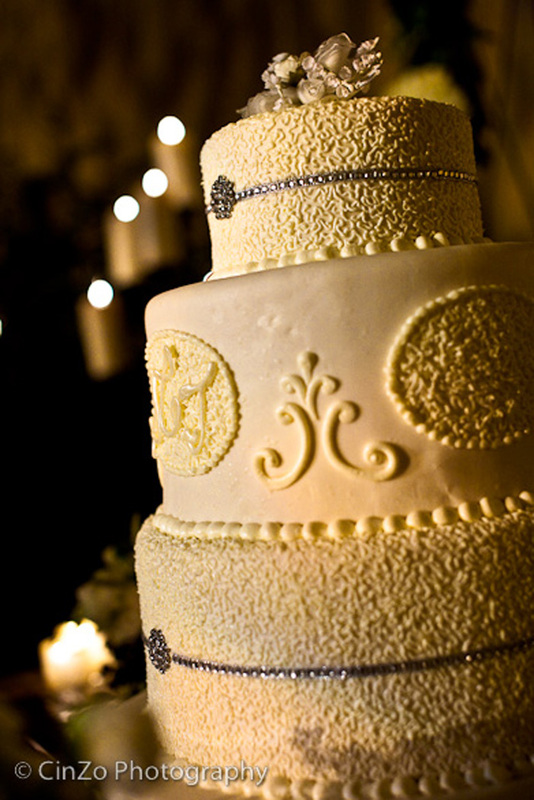 The Sheraton Grand Sacramento Hotel recently celebrated their 10th Anniversary. The hotel originally opened in 2001 in downtown Sacramento and commemorated the date with a private event for their clients and members of the community. As one of the hotel’s preferred vendors, Tres Fabu Event Planning and Design, was invited to participate in the event and showcase some of the jaw-dropping weddings and special events they have created for numerous clients held at the hotel. Tres Fabu Event Planning and Design stated that it was an honor to be asked to create a room filled with Vintage Italian Charm. The Sheraton Grand’s Sacramento History. 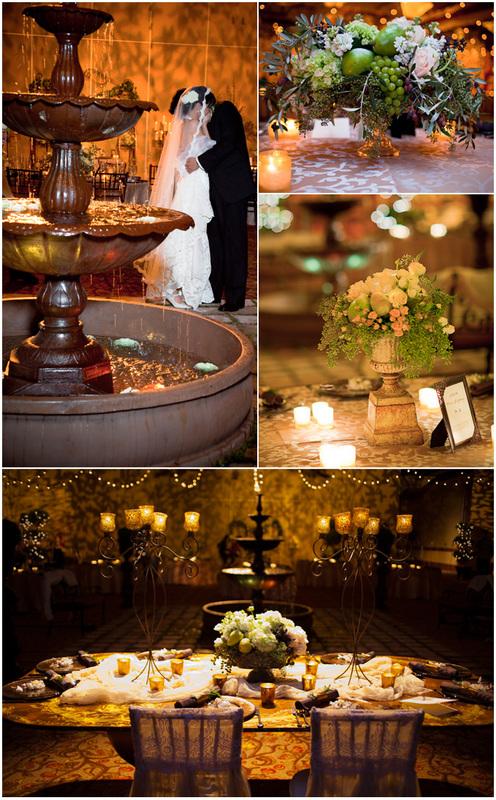 There was no question in their minds that a candlelit courtyard wedding was a must. 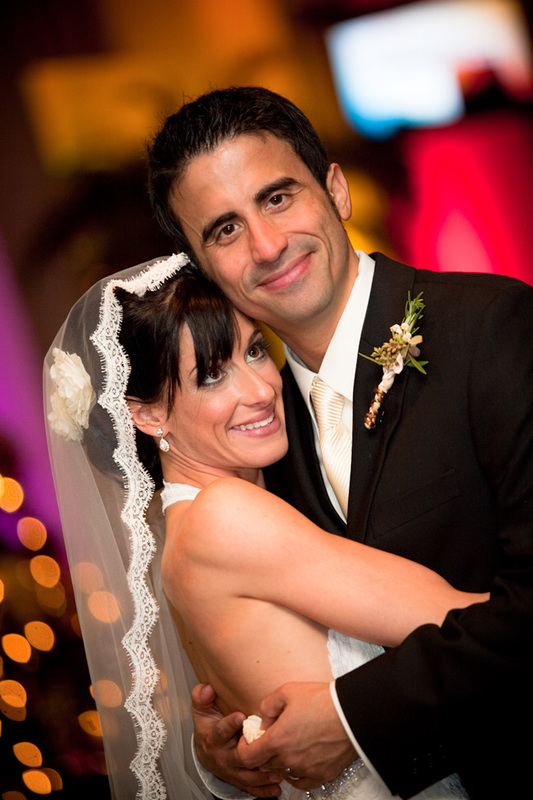 It would be an ideal setting for uniting Stephanie’s Italian family with Justin’s Guatemalan side. A year later, they still can’t believe just how special it was. The unbelievable transformation of the Sheraton Grand Sacramento into a quaint church ceremony followed by a romantic courtyard reception left the bride, groom, and their guests stunned. 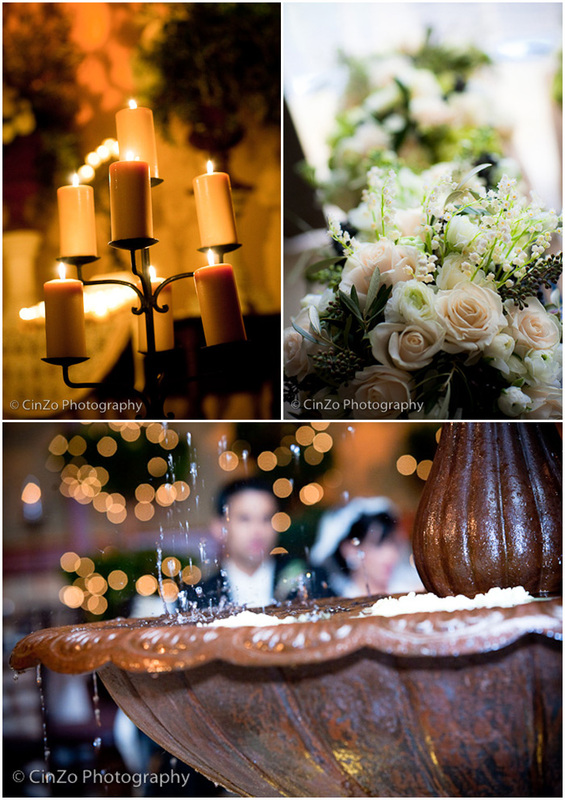 It involved 600 candles, amazing lighting effects, a fountain (complete with pavers and moss), ironwork candelabras, olive branches, fresh flowers, and sugared fruit. 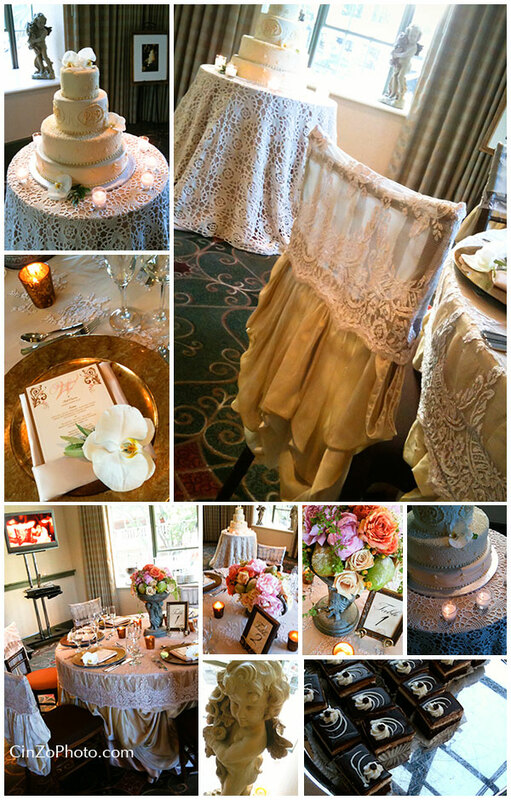 Elegant colors were used throughout the décor: antique gold, creamy ivory lace, olives, champagnes, and browns. As Cat Stevens’ “Morning Has Broken” began to play, Justin and 190 guests turned to see Stephanie in a beautiful ivory lace gown coming down the aisle, escorted by her two brothers. The song was chosen in honor of her father who has passed, as it was his favorite music. 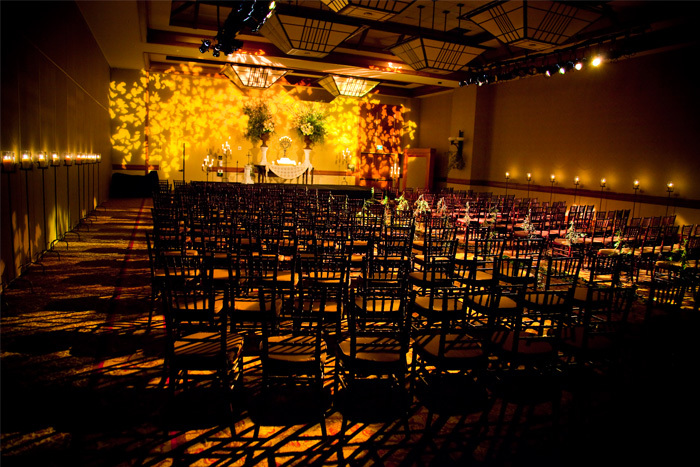 The lighting in the room, which was created by Extreme Productions, set the feel of the last of the setting sun coming through the windows…truly perfect for their 5 o’clock wedding. Father John Mabry married the couple in a traditional yet very personal ceremony. Stephanie and Justin chose readings from various religious and literary sources and after much thought, decided to exchange traditional vows. “Something felt so right about saying the same vows as our parents and grandparents who were there with us that day (in body and spirit),” says Stephanie. Following the ceremony was a cocktail hour in the private courtyard (the reception room) where guests enjoyed listening to a live Spanish acoustic guitarist, Jesse Christian Hendricks. The “courtyard” itself was nothing short of magic…between the beautiful fountain in the center, the amazing head table, and the overall lighting effects: hanging market lights set the tone for the evening and gobo lights mimicked the shadows of leaves from the moonlight. Each table had unique containers collected from local antique stores: old copper pots and gorgeous urns, no two the same, were filled with olive branches, rosemary, spray roses, hydrangeas, pears, and grapes. “It was like every one of the vendors went all out to do what they do best,” says Justin. Dinner was catered by the Sheraton and included vegetarian and non-vegetarian options; the main course was portabella mushroom risotto timbale or Petaluma chicken filled with apple brioche stuffing. A three-tier cake followed, with chocolate grand marnier, triple chocolate, and the couple’s favorite, chocolate pistachio! 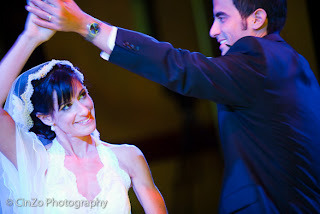 Looking back, the evening is an unforgettable memory for the couple, just as their first dance—“Memories Are Made of This” by Dean Martin—had promised. A year later, Stephanie and Justin are enjoying feeling even more connected and content to be with their soul mate. Stephanie is still loving her job as a special education preschool teacher and Justin continues to work with computer programming…and is thrilled to be getting a new drum set! The couple plans to celebrate Semana Santa (Holy Week) in Guatemala, along with their families. 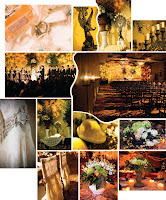 The Sheraton Grand Sacramento | Tres Fabu Events ~ Italian Inspired Wedding Event Featured in “Your Wedding Day” National Magazine ~ East Coast to West Coast! 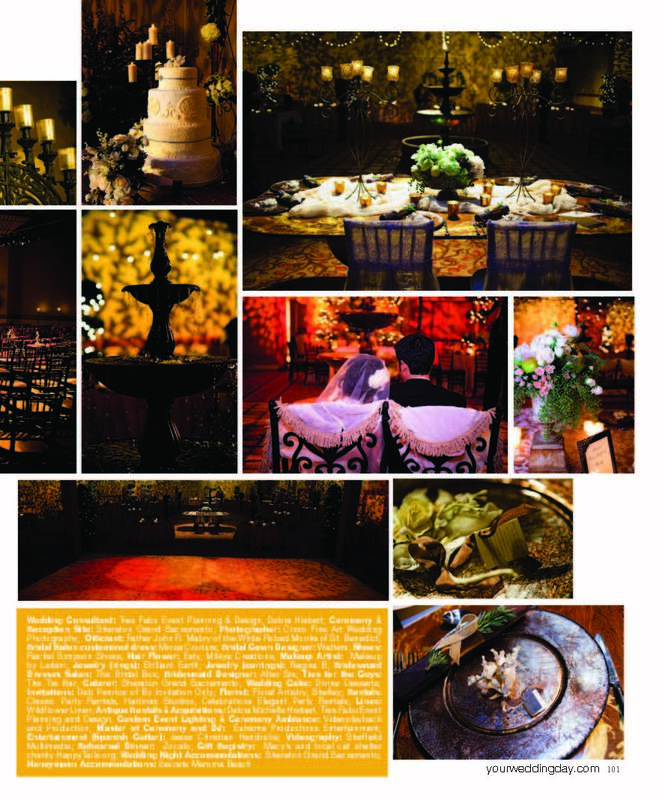 Tres Fabu Event Planning and Design’s one-of-a-kind Italian inspired wedding event has been featured in an East Coast to West Coast National Wedding Magazine! Your Wedding Day Magazine ~ Spring & Summer Issue ~ Twenty Ten! 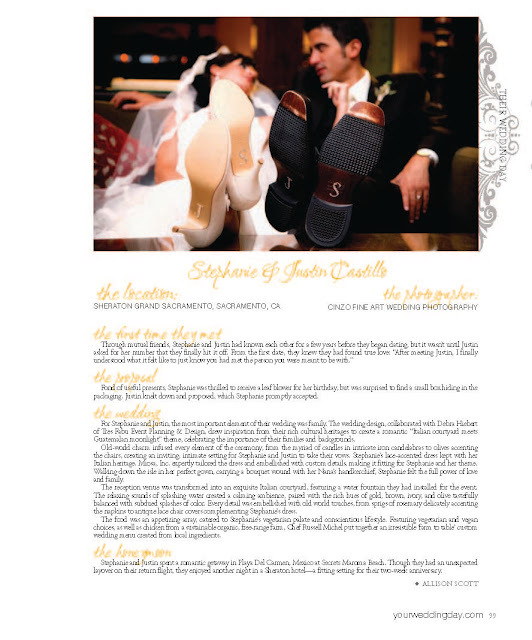 What a complete honor for Stephanie & Justin’s wedding event to be picked up by a national wedding magazine. 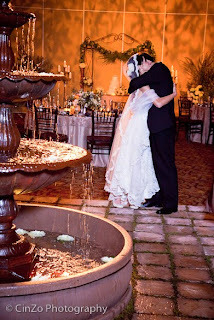 Their Italian Guatemalan Moonlit night wedding event was truly magical and breathtaking. We could not of created such an event without of course, our wonderful couple, Stephanie & Justin and the fabulous Beverly Castillo; Matt Brys and his team at Extreme Productions for all the entertainment; MOC and custom ambient lighting; Shelley McArdle of Floral Artistry for creating unique and one of kind floral arrangements that were in different vintage containers for all 25 tables ~ and all the rosemary and olive branches that added so much warmth to the effect overall; Chef Russell and Jana Evans and their entire team at The Sheraton Grand; Javier & Esther Aguirre, of Divine Desserts by Aguirre, for creating such a lovely wedding cake ~ Italian Pistachio no less ~ Leilani Bryan of Make-up by Leilani & Renee & Gabby of Hair Design for making our entire bridal ensemble look so lovely! Deb Penrice of By Invitation Only for setting the tone; and of course my treasured team, Kaitlin Gerardi; Amanda Brys; Isaac Sanchez; LC ~ Caitlin Frederici; Tina Marshall; Helen Sanchez; Julien Ashley; Christian Hankin; Greg Moss; Jaimie Ross & Team for the fab install of Italian tiered water fountain coupled with courtyard pavers! and of course, Cindi Kinney and Lorenzo Bartone of CinZo Celebration Photography and Phill Sheffield of Sheffield Multimedia for capturing it all, a zillion details and our install of over 600 candles! 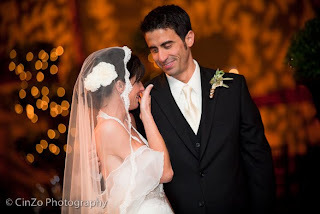 Hope you enjoyed our SacTown wedding in the middle of winter and five days before Christmas Day. We are so blessed with our clients that give us the artistry and freedom to create on their behalf, along with our wonderful stellar team of professional event vendors who bring nothing but first class and five-star service to all ~ at each and every event! 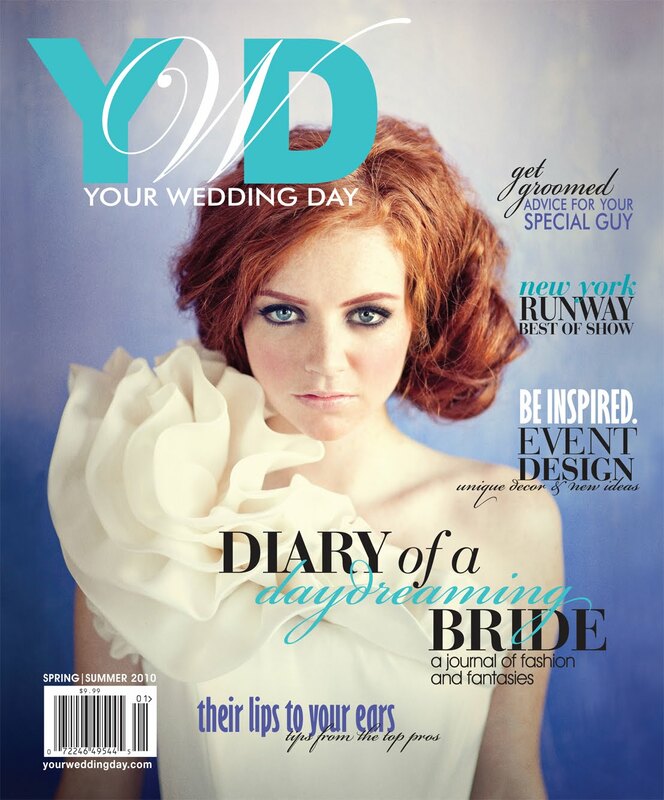 Thank you Thea, John, Katherine & Beth at YWD Magazine for wanting to showcase this unique wedding event! A zillion fold! Pick up this must have issue at Barnes & Noble; Borders Bookstores and Targets ~ Nationwide! 460,000 printed copies available Nationwide! What a wonderful note to find in our post from two fabulous Southern gentlemen I remember talking with in length and in great discussion at Stephanie & Justin’s evening wedding; and once again the following morning when I ran into them again in the hotel lobby when our entire crew of over 30 members were breaking everything down and taking away all the remaining fabulous details! 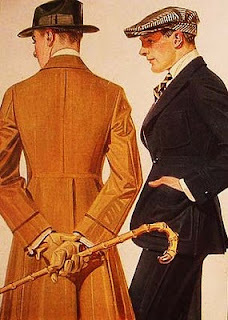 Truly charming gentlemen indeed. Two men whom I will never forget! My partner and I have attended many weddings around the world in our 41 years together. However, we wanted to tell you that none have been as elegant, sophisticated, and “real” in theme, as what you all did for this particular wedding. The unique use of olive branches on the “Church Chairs”, magnolia garlands down both sides of the walkway, the fabulous soft lighting with the elegant candles, and the special effects of the professional lighting in the “Church Setting” creating the appearance of church windows, and in the “Italianate Palazzo” dining setting with the wonderful hanging strung lights, and the projected leaves on the walls, were spectacular. You and your support staff are truly professionals. We wish we were young again, we would have you do us a wedding just like theirs, except it would be a “Southern theme” with lots of pastel gowns and big hats like they wear down south. 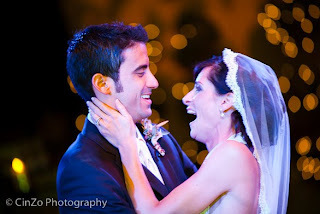 We are sure that Stephanie and Justin loved every touch, we could see it in their smiles. We know the mother of the bride loved it because she said so. Again, tfep&d strives for these types of reviews long after the wedding event has taken place! We want the feeling and experience of our client’s events to resonate within their invited guests hearts, souls and memories forevermore. And as I did share with Sir Byron & Sir Dennis ~ we of course can create that Southern Charmed renewal of their vows, coupled with mint julep cups indeed I dare say!!!! Click on the title link of this blog posting above to view their one-minute video snippet!! Enjoy! The Sheraton Grand Sacramento | Nod of Gratitude from Mrs. Stephanie Castillo! This note was received this past Saturday from our lovely bride, Mrs. Stephanie Sheehy-Castillo coupled with one magnificent gift basket! The Tres Fabu Team owes her a note of gratitude! This letter made myself and my team tear-up with pride and we all feel so humble for her words and for sharing her experience with our team’s efforts to create a unique, magical and memorable wedding weekend her entire family could remember for all time! My event team and Stephanie’s team of vendors, knowing her and her family’s entire story a year before the wedding ~ we all embarked on a journey together, determined to create a day focused on the love and joy to create a celebration that would envelope all this and more! I told you after the wedding that I had so many things to tell you that I could not find the words. So now, a few weeks have turned into months later and this is my attempt to express a small bit of what you have done for me and my family. I was never the girl who dreamed of her wedding day. A tomboy. Did not care for dresses and not wedding dresses for sure. Wedding dreams never really swirled in my head to be quite honest. I never thought about weddings really until I heard someone whispering about how sad it would be that I would never have the opportunity to walk down the aisle with my Dad or have my Father & Daughter Dance on my wedding day. For the next several years, I thought over and over again how no matter what, I never ever wanted to hear people whispering about how sad they were for me, and if it meant I would never have a wedding, so be it. I went from never thinking about weddings to thinking I was never going to have one. After Justin and I met, within months, we seemed to be the kind of couple that would be together forever, wedding or not. Marriage was not necessary……..but then one fine day…..came the ring. ECSTATIC!! In the days after the proposal, we had a decision to make. 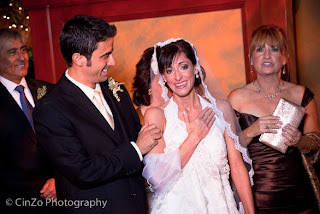 A small non-wedding with just family or a big wedding celebrating the joy, love and hope in our future together….this was what my family had always wanted for us…..what everyone (even tomboy me) had always had reserved in the back of her mind as a possibility. Justin told me it was up to me, if I did not want to ‘deal’ with those whispering voices real or in my head, we could just have small family ceremony. Would my wedding be sad? Would I break down? Would people feel sorry for me and not happy for me? Would my family be okay? The choice was already made. I was going to celebrate this to the fullest. I had high hopes. I was not sure how yet, but I knew it was going to be good. And then I met a wedding planner who lived on hopes, and made dreams come true. From the minute I talked to you, I knew I was in excellent hands and it was the best decision of the decade to have you as the maestro of all celebrations! Debra, our wedding was the best day of my life. I do not remember feeling so happy, so comfortable, so ‘taken care of’….so hopeful and eager to continue this voyage with my new husband and our new joint family. When I see the wedding pictures and the snippets of wedding video from our day, the first thing I see is pure bliss in my face. Surrounded by friends and family, I was blissed to the max, and it was contagious! Everybody on the both the night of the wedding and weeks later kept telling me how wonderful, fun and joyous our wedding was. Just joy. Loud and clear joy! So for this I thank you. You made dreams I never knew existed come true. 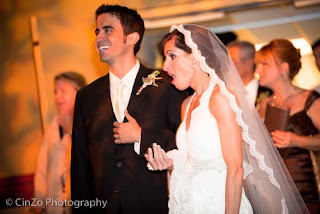 Post script: One of the stories I heard the very next day after our wedding day. The night of our wedding, one of our wedding guests (a nurse) saw the doctor she works for in the lobby with his daughter, they were returning from the Nutcracker performance that evening. He asked what she (the nurse) was doing at the hotel lobby, and she said “Well I am here attending a wedding……” The doctors seven year old daughter inquired if she could see the wedding, and reluctantly, we let her take a peek inside. Again, these are the moments and ultimately the feed back, Tres Fabu Event Planning and Design and my entire Dream Team of Professional Vendors strive to achieve for each and every client, each and every weekend. 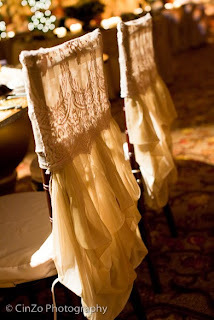 Tres Fabu Event Planning and Design given mention on Wildflower Linens Blogspot! Thank you so much to Wildflower Linen, the ever creative and fabulous trail blazer in the special events industry, Youngsong Martin, a special thank you to the talented and lovely Lily Yeung for the nod of recognition for being featured on their Wildflower Linen Blogspot, via Tres Fabu Event Planning and Design’s “Italian Courtyard Meets Guatemalan Moonlit Night” inspired wedding event being featured on Your Wedding Day Magazine’s Blogspot! Whew! 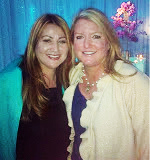 A Double Nod of two of the biggest names in our event industry ~ Wildflower Linen and Your Wedding Day Magazine! Thank you all! Myself and my entire Dream Team are completley honored and beyond thrilled with this exciting industry mention! Merci! Merci! Sweet chair covers carry the essence and flair of the event and add a touch of softness that I needed the bride/grooms chairs to encompass. 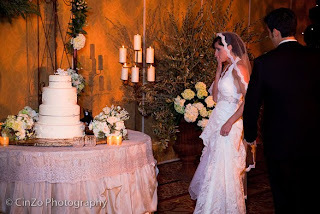 The cake area presentation was yet another sweet surprise to our couple! Again, double click on this blog’s title to be taken to the Wildflower Linen Blogspot! 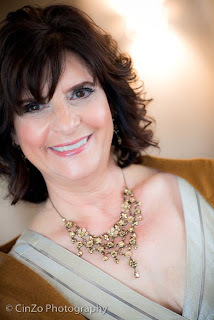 Mother-of-the Bride ~ Note of Gratitude ~ The Love Notes Keep Pouring In! The ever lovely Mother-of-the Bride, Beverly Sheehy! 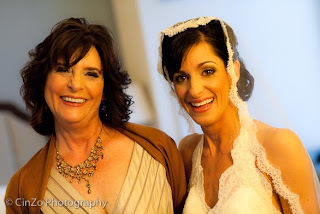 Ahhhhh, Mother & Daugher, side by side on a grand December Wedding Day! Words cannot express my gratitude for the work you accomplished for my daughter, her husband, my family and all our guests at her wedding. She and I had a vision of what we wanted the wedding to represent and where we wanted to be transported on that very special night. You brought us there as if by magic to a time and place that dreams are made of. It was your hard, hard work and imagination that achieved this dream and for this we, and all who attended the wedding, will be eternally grateful. You and your team are very special people. You became not someone we “hired” but someone who became and will be a dear, dear family friends. “You and the Tres Fabu Dream Team” went above and beyond any expectations. Tres Fabu Events December Wedding Event Featured on Your Wedding Day Magazine’s Website Blog ~ entitled "Tres, Tres Fabu!" 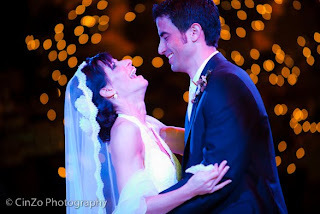 What a perfect title than “Very, Very Fabulous” to describe Stephanie & Justin’s wedding day. Please peruse this feature wedding story coupled with images of Stephanie & Justin’s very romantic day ~ click on the opening title below to be directed to their feature story! Congratulations to my entire Dream Team of tfep&d professional vendors!!!! Congratulations to my fabulous clients, Mr. & Mrs. Justin Castillo and my fab Mother-of-the-Bride, Beverly Sheehy! I heart you ALL! A special thank you to the Editor-in-Chief, Thea Lingos, for featuring our winter wedding NorCal event within their fabulous and ever glamorous wedding blog! Thank you to Kate, John and Beth as well for all the hard work to the feature cover story! 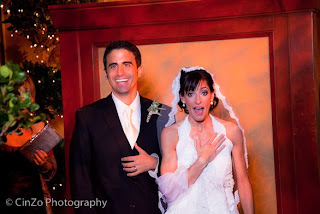 Please enjoy a handful of images showing Stephanie & Justin’s initial reaction to their wedding reception room reveal! As they say…….a picture is worth a thousand words……..maybe in their case millions……..
…….and they lived happily ever after in the moonlit courtyard of their dreams……. Enjoy the one minute teaser film snippet from Phill Sheffield of Sheffield Multimedia (www.sheffieldmultimedia.com) of Stephanie & Justin’s Courtyard Celebration held on December 19th ~ 2009 ~ The Sheraton Grand ~ Downtown ~ Sacramento. 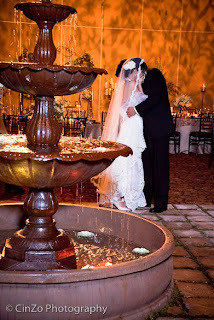 Truly a blissful and romantic courtyard setting for an extremely fabulous and special couple. mom : I want to to it again! And now this. Was someone listening to us??? I am seriously shivering over here. Phill, you are amazing. Debra, you are amazing times two, and mom you are amazing a million. I love it, and if this is just a teaser, I am going to bawl my eyes out with the video! !